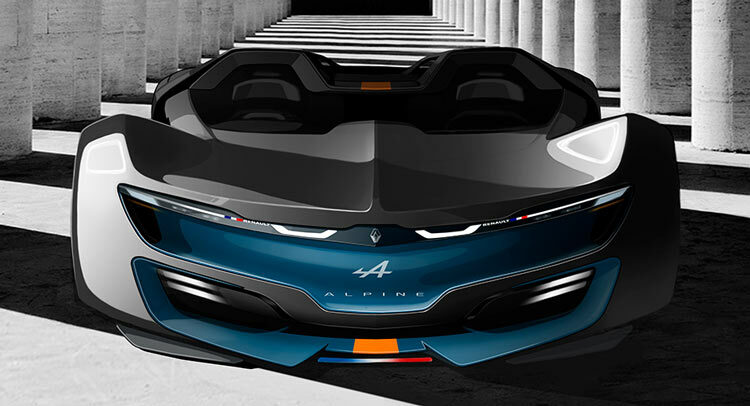 One could quite easily call the Alpine Vision Concept’s design sleek and bold enough to be appealing to prospective sports car owners. 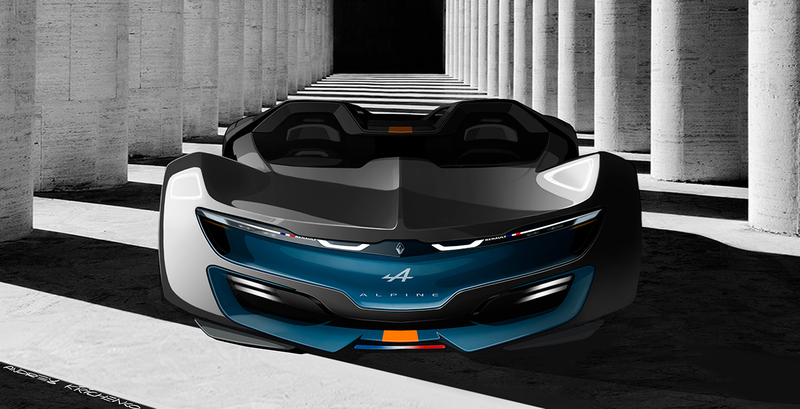 However, you certainly couldn’t call its styling menacing, overtly aggressive or crazy. 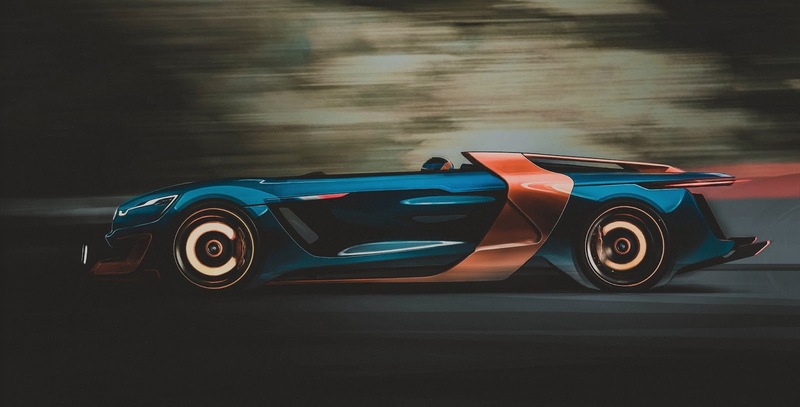 As the company wants its new sports car to fight the Porsche Cayman and Alfa Romeo 4C, that’s understandable, but if some day, Alpine’s designers were allowed to create a Lamborghini-rivaling speedster without boundaries, how would it look? 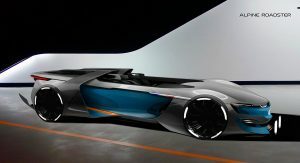 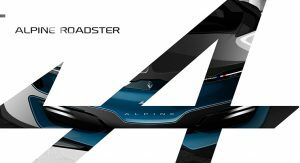 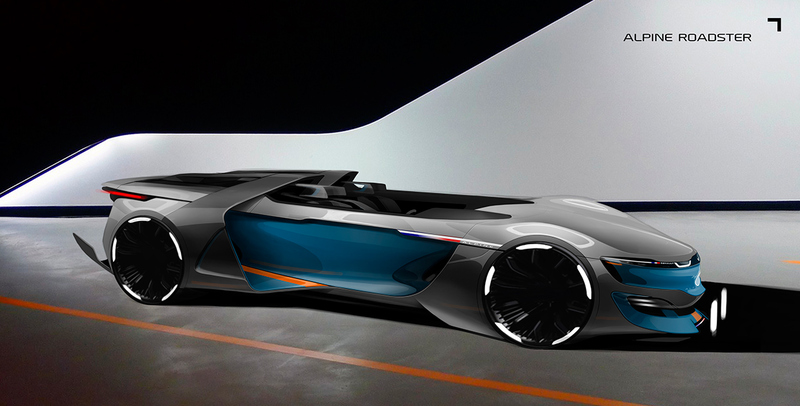 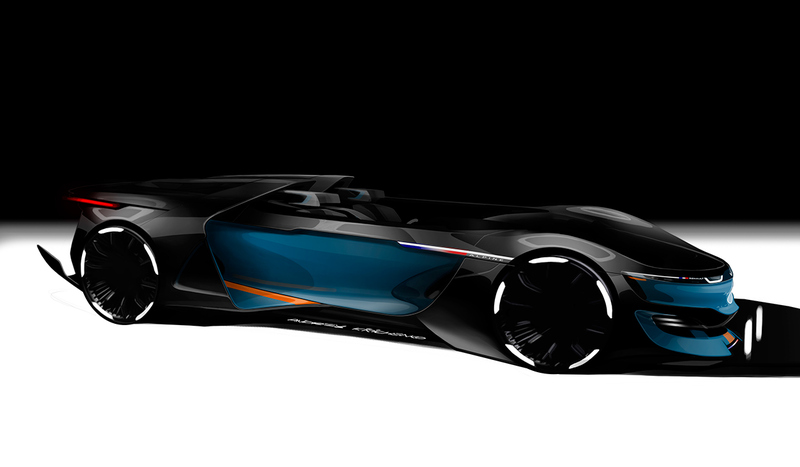 Russian designer Andrey Kirichenko has decided to find out by dreaming up his ultimate Alpine, dubbed the Roadster. 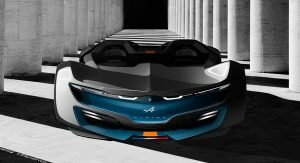 While there’s no indication the relaunched automaker is developing such a model, Kirichenko’s creation is certainly identifiable as an Alpine and incorporates lines sharp enough to put the Lamborghini Aventador J on notice. 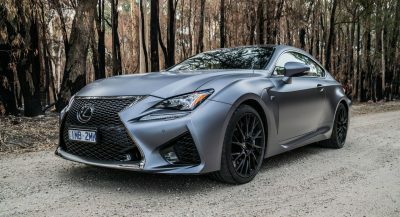 At the front, we can see a set of ultra-slim LED headlights and daytime running lights as well as a prominent splitter and massive wheel arches. 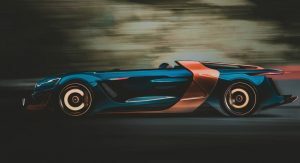 As the car is a speedster, it makes do without a windscreen and doesn’t even include a rear-view or wing mirrors. 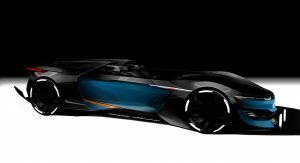 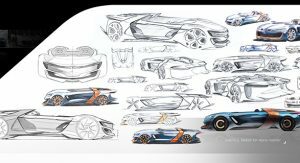 Limited solely by the designer’s imagination and creativity rather than draconian rules and road regulations, the finished product certainly has us intrigued to see what Alpine itself has in store for the future. 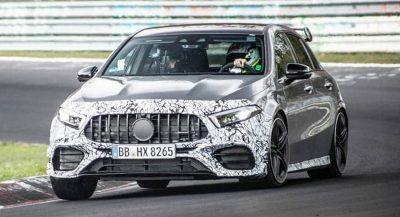 Previous PostPrevious Can Ford’s Focus RS Beat The Audi RS3 And VW Golf R?